Freshmen and women numbering over five thousand have gained admission into Kumasi Technical University for the 2017/2018 academic year. Matriculation ceremony has therefore been held for such students on 27th October, 2017 to formally welcome and induct the junior members into the University community. The ceremony was the maiden one since the attainment of a Technical University status. 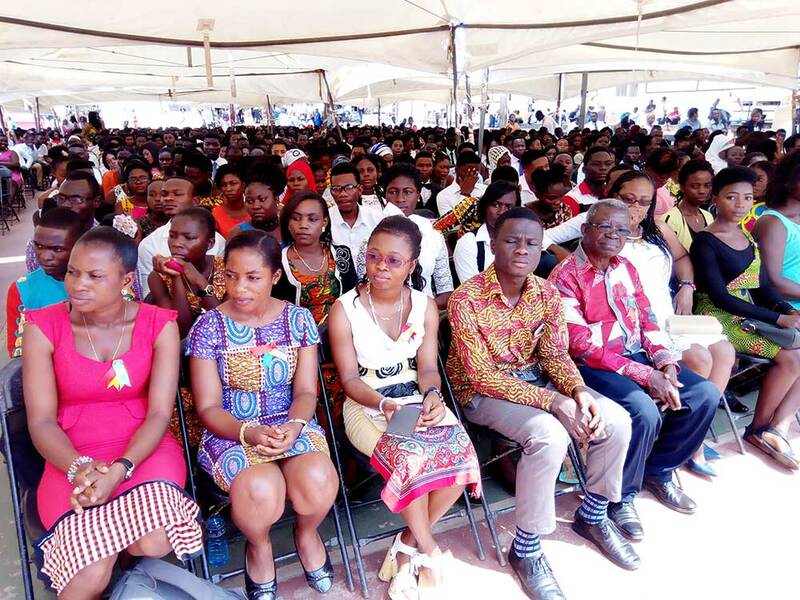 In his address to the matriculants, the Acting Vice Chancellor Prof. Asiamah Yeboah, entreated the students to guard their admission jealously as they were privileged to now be junior members of this prestigious University. He reiterated the University’s resolve at ensuring that the students graduate with flying colours after their three-year or less stay in the University. He further advised the students not to abuse their new found freedom but rather to make the most out of it by burying their heads in their books and avoiding bad company as "bad association corrupts good morals". He reminded them of the need to read the Students’ Handbook as it contains all the rules and regulations for their successful stay on campus. The University’s authorities he said will not hesitate to apply the necessary sanctions should they fall foul of the law. He also reiterated the need to avoid any form of examination malpractice which has the tendency of derailing their academic career. The Acting Registrar, Deans and Directors from the various faculties and directorates fully participated in the matriculation ceremony. Also present were members of Convocation and other administrative staff whose presence added substance and colour to the programme. Together with the various Deans, the Acting Registrar administered the matriculation oath to the students and formally inducted them into the University Community as junior members of the Institution.